Safe Routes to School programs encourage students in grades K-8 to walk or ride their bicycle to school. The program helps make it safer for students to walk and bike. Lorain County Public Health works with schools and school districts to create School Travel Plans (STP) that outline a community’s intentions for enabling students to engage in active transportation (i.e. walking or bicycling) as they travel to and from school. Engineering strategies are often included in STPs, such as sidewalk and street improvements. Students and volunteers may conduct Walk Audits to determine which walking routes in the community need to be improved. 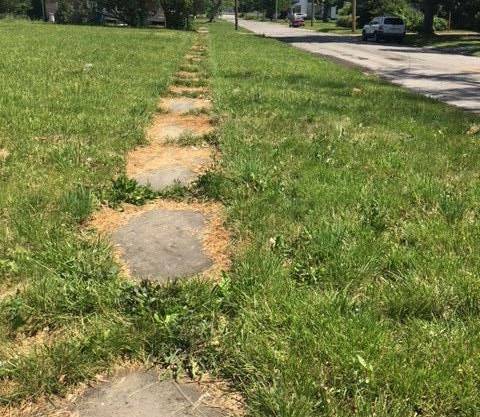 Local connection: Students from Marion L. Steele High School in Amherst conducted walk audits to learn which roads near their schools need new sidewalks. Their involvement helped design a STP that both students and community leaders were excited to implement. 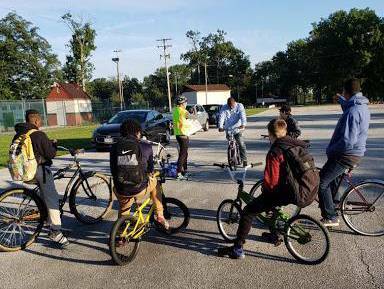 To increase students’ knowledge of bicycling and walking and to equip them to make safe choices, education programs are an important piece of Safe Routes to School programs. 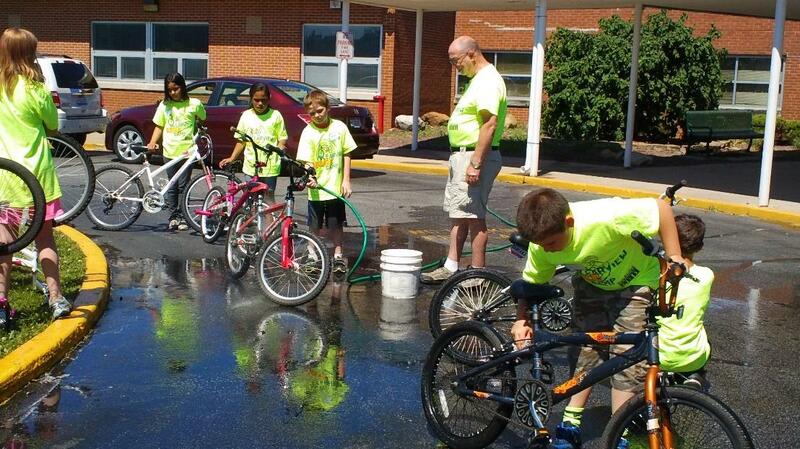 Local connection: To help students learn in and outside of the classroom, the Clearview School District and community members offered a bike camp. This gave students a fun chance to deepen their understanding of proper bicycle maintenance and safe riding skills. To encourage students to practice their walking and biking skills, schools host a Walk to School day. These activities help guide students in healthy and safe walking and bicycling. Often encouragement focuses on building confidence in students. 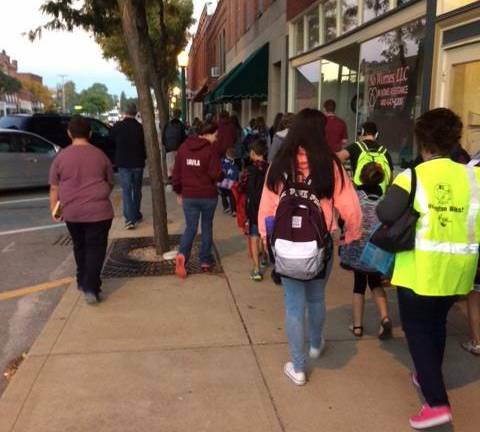 Local connection: In rural Lorain County, Wellington Schools participate in Walk to School Day in the fall and spring. Walk to School days help parents and students realize that walking and bicycling are normal, safe activities. Enforcement strategies link law enforcement officers with crossing guards and school safety team members for a consistent and comprehensive STP. 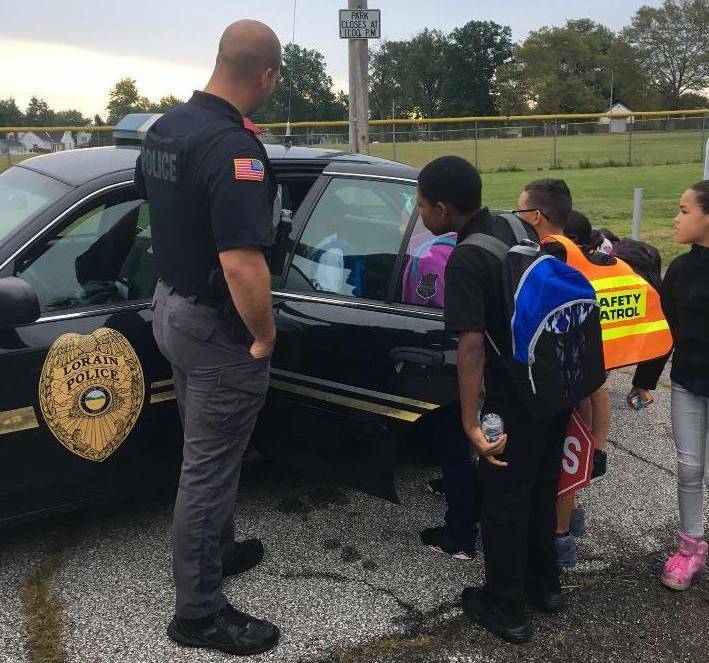 Local connection: Lorain city crossing guards and School Resource Officers took advantage of local and regional trainings to improve their skills when it comes to safety during student arrival and dismissal times. Are we making a difference? Evaluation helps us answer that. In fact, Lorain County Public Health, local school districts, and the community-at-large continually track progress of STPs. Schools often survey parents and take in-classroom tallies to see if more students are walking and bicycling to school. Lorain County Public Health also facilitates the Safe Communities Coalition, which reviews traffic crashes on Lorain County roads. Through programs like Safe Routes to School, we hope to reduce the number of crashes, especially around schools. Just by walking or bicycling to and from school, children can get their daily recommended time of physical activity. Exercise and movement can also improve focus and performance of students in the classroom. This is especially important when there is little time during the school day for physical activity or recess. Ask your school about Safe Routes to School activities, such as Walk to School Day, sidewalk improvements, or bicycle programming. Creating and maintaining School Travel Plans is a team effort, and plans need to be updated every five years. Local connection: If your school district needs to create or update a School Travel Plan, Lorain County Public Health can help kick-start the process. Call 440-322-6367 and ask for the Health Promotion division. Check with the Ohio Department of Transportation to learn more about your STP.